I wonder why Qt 5.11.3 has no linker issue, but Qt 5.12.1 runs into errors. So how to you link against the netlib library? Are you sure the netlib library is linked with the same compiler as Qt? Thanks :) The strange point is that I have two more libraries which I'm linking against with the same approach without any issue. But only this net library is giving me troubles! Maybe the function is not properly exported? Maybe take a look at the exported function declarations with Dependency Walker - make sure the export string (_imp?registerNetLibraryQML@NetLibrary@@YAXXZ) shown there looks exactly the same. I've no idea - does the linker really links against the import lib? Are other functions from within the library are resolved? @m3g1dd While checking the netlib DLL is a good thing for avoiding failures when launching your application.exe (when the .dll is loaded), here the error occurs not when running the app, but when linking it, So the .dll is immaterial, you could instead check the netlib.lib file, that's what the linker is reading. 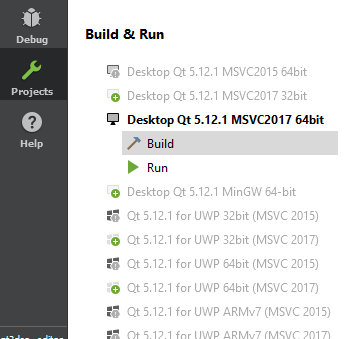 Hi, just to check, what version of MSVC did you use for Qt 5.11.3 (when the linking worked), was it MSVC 2017 32-bit or MSVC 2017 64-bit? 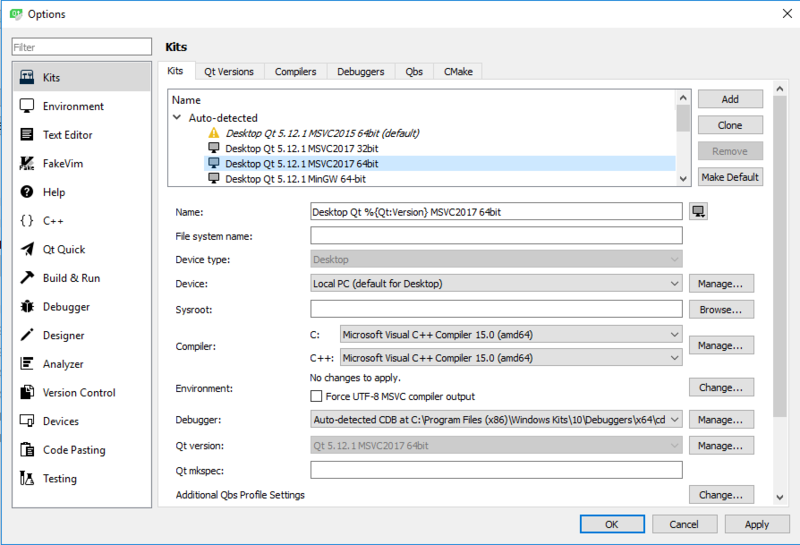 Hmm, just to check again: release builds and debug builds on 5.12.0 MSVC 2017 links fine and dandy, but the same linker throws a tantrum both for release and debug builds on 5.12.1 MSVC 2017. Also, could do you a similar dumpbin on a 5.12.0 debug built netlib.lib as you did above for a 5.12.1 debug build? So say instead of netlib you could call it m3gnetlib (prefixing with half of your username). That would mean changing the .pro file, the .h and .cpp files and also the #define from NETLIBSHARED_EXPORT to M3GNETLIBSHARED_EXPORT. In Qt 5.12.1 @m3g1dd 's netlib.lib gets muscled out by the big wheels at Microsoft, when I do a dir of the Windows Kits on my C: indeed there's a netlib.lib there. And that's what the linker tries to link with. So either as I mentioned above go do that renaming, or wait for 5.12.3. Hi, Thanks! Problem got resolved by renaming the netlib library to netagentlib, and Qt 5.12.1 builds and runs the application without any issue.